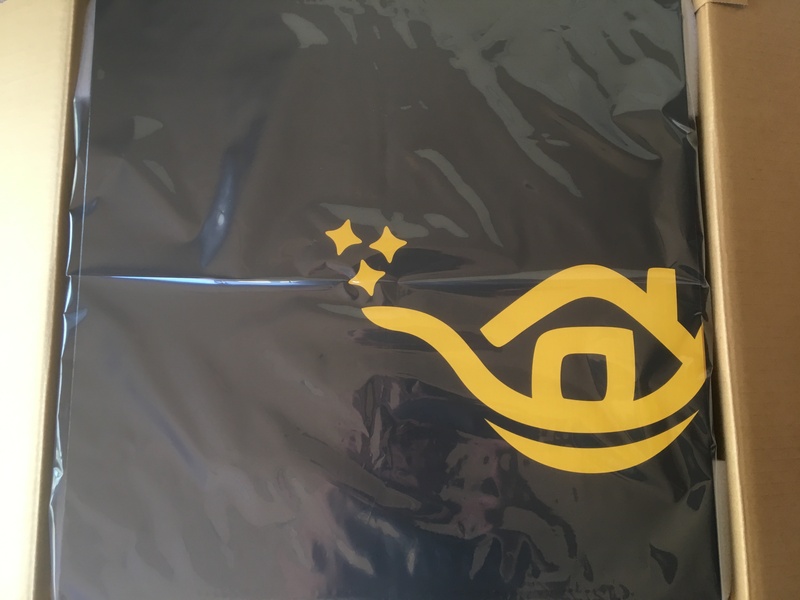 Popin Aladdin of the world ‘s first 3 – in – 1 light which I was ordering at Makuake of the cloud fan site has arrived. It is not a magical lamp that calls Disney’s jeanie even if it says Aladdin’s light. But it was a lamp that transformed the bedroom into a magical entertainment space. I’m excited after popin Aladdin arrives. 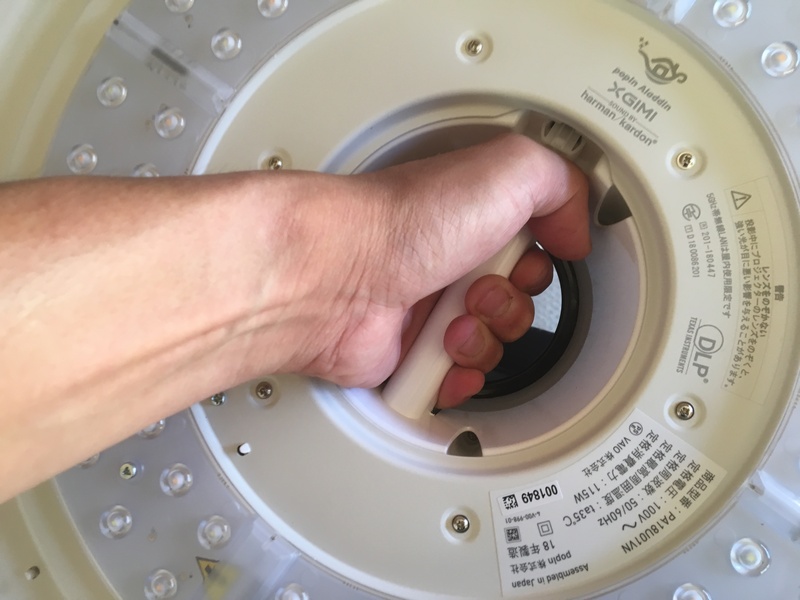 I installed it at home immediately and tried using it for a few days, but it was a very wonderful gadget. So, I would like to review thoroughly so that it will be helpful for people who are worrying about purchasing popin Aladdin. 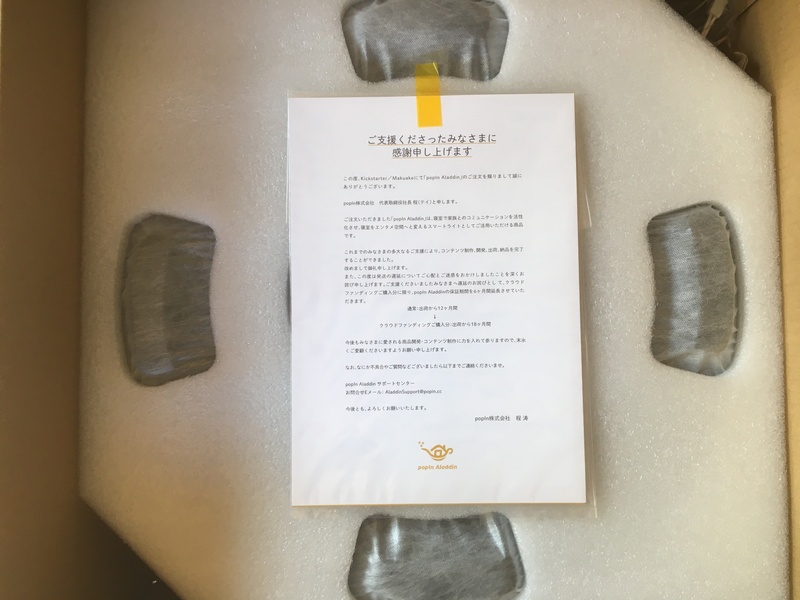 Originally as President of popin Co., Mr. Masashi wanted to expand the view of the world of the child as one father, he seems to have made products feeling that there is a possibility in the bedroom. I repeteadly do experiments to whether a bedroom which had only to slept until now can be a space where all the family members can communicate deeply, looking, talking, playing, learning as family become closer and it produced “the future wall”. 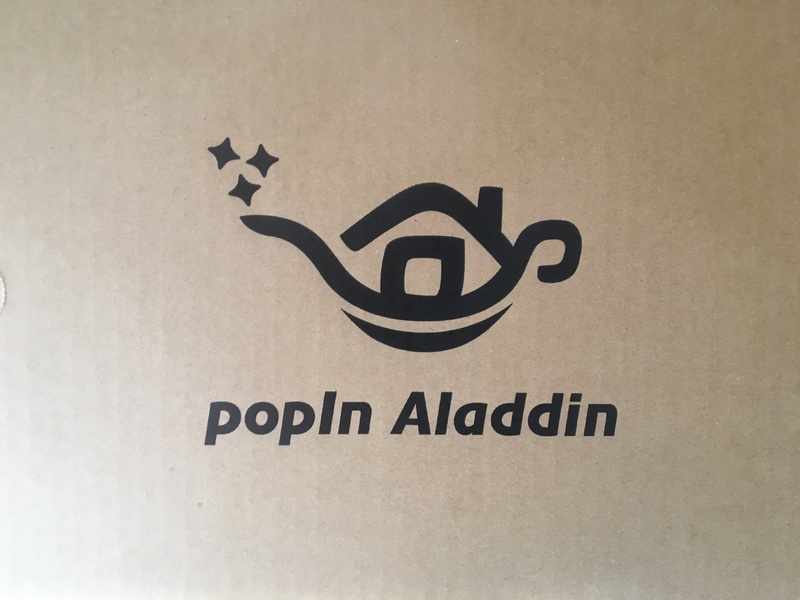 also, popin Aladdin’s logo!! There is a ceiling light case in this box. A letter of appreciation to the person who supported the cloud funding with that box. It will do stylish things!! 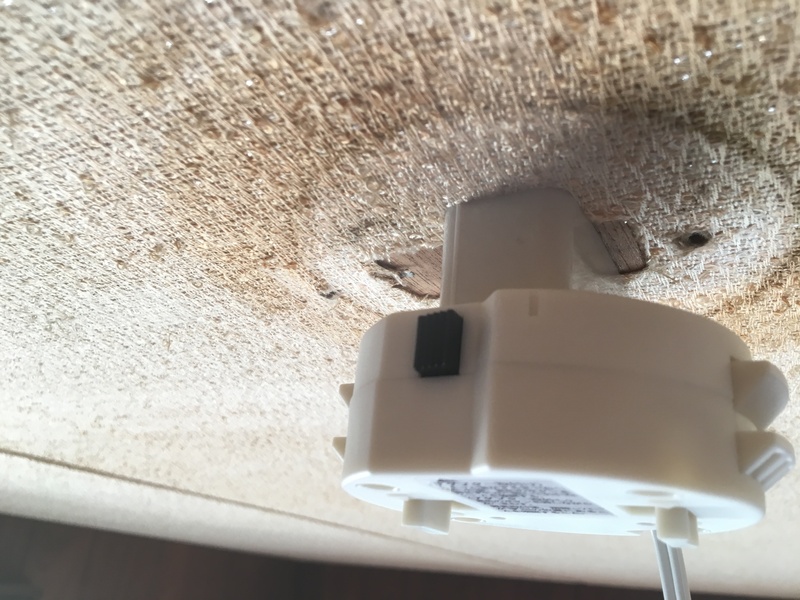 Since the sponge is attached to the back side of the ceiling light body, it does not seem to hurt the ceiling. On the contrary, a mounting handle and an LED are installed. 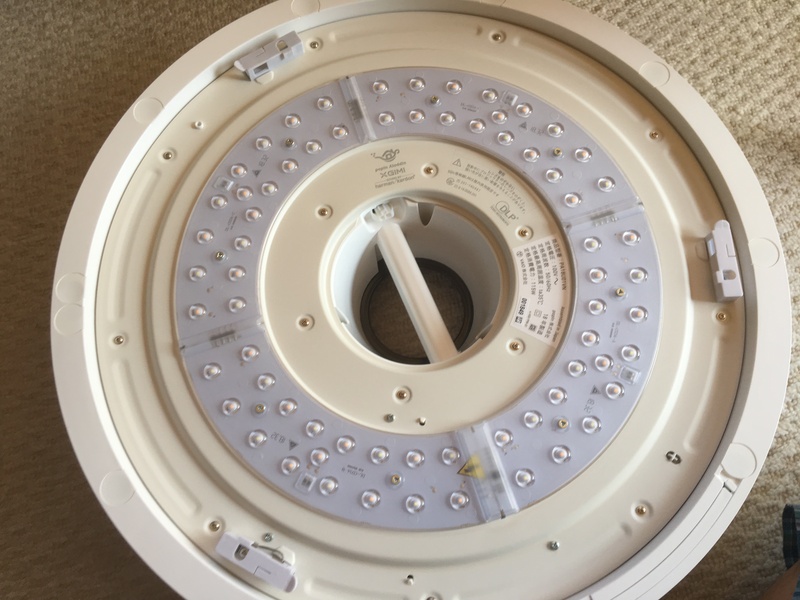 When installing, attach the included adapter to the ceiling connector. 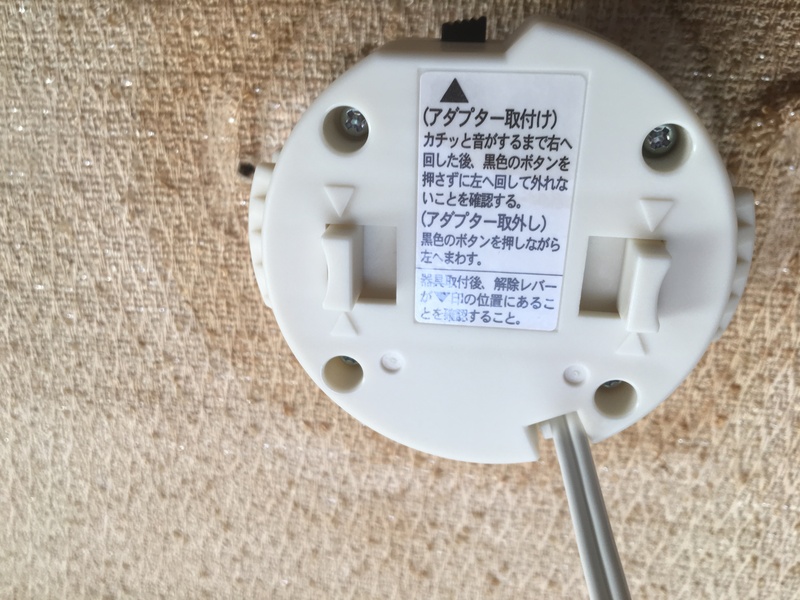 Attach the main unit to the adapter you installed and insert the connector. 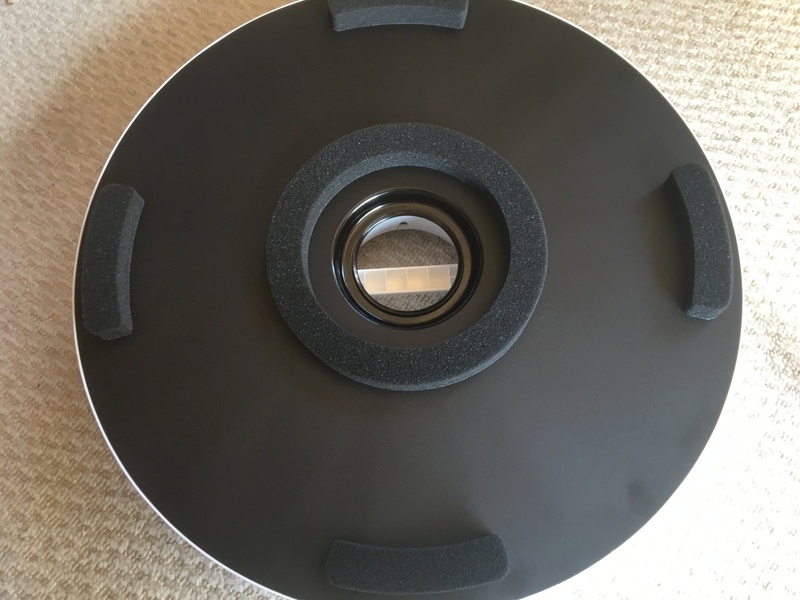 Since the main body has a handle attached, it can be installed relatively easily. 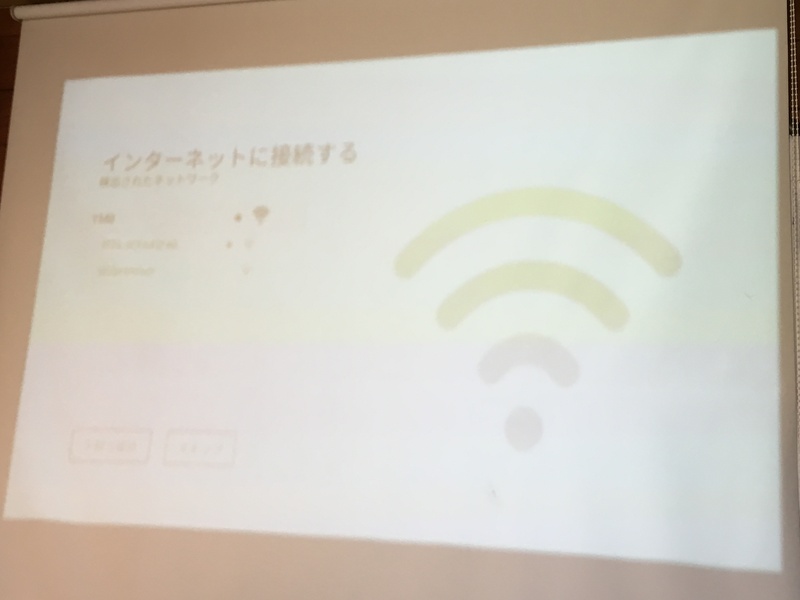 * Please install the code attached to the adapter so that it goes inside the main unit. Finally, attach the cover and finish installation. I will set popin Aladdin after installation. First, we will pair the remote control. 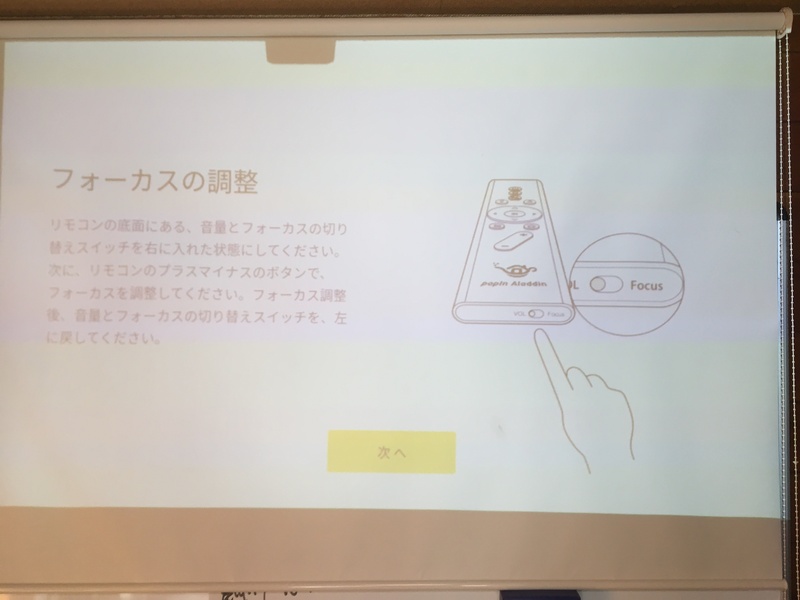 Pairing of the remote control can be set by simultaneously pressing the home button and the back button. Next, adjust the focus. For focus adjustment, adjust the knob under the remote control with focus and press the volume button. When you finish adjusting the height, you can set the Wi-Fi setting and zip code (you can receive news according to the area you set up). If the wall is white you can project popin Aladdin as it is on the wall, but if it’s a colored wall or it is a rough one the picture can not be seen beautifully. In that case roll screen is convenient. 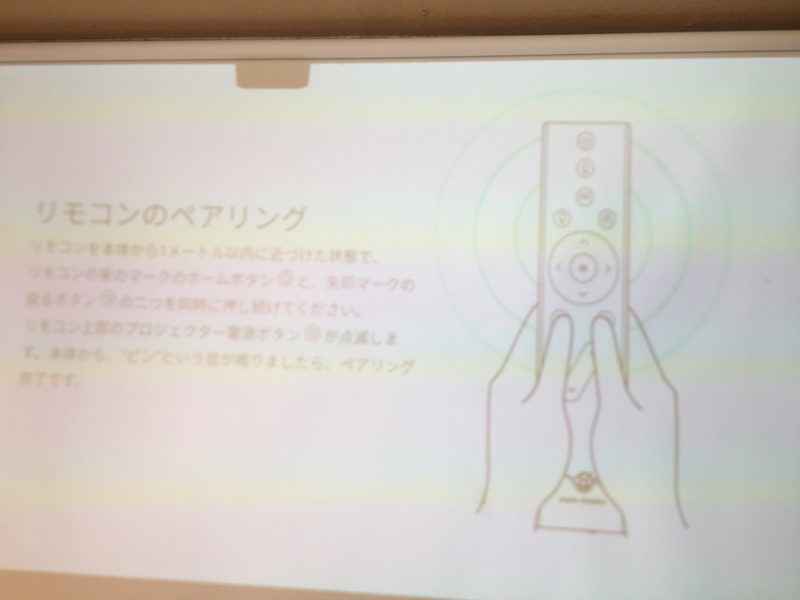 If it is a roll screen, you can store it on the ceiling when you do not use it and you can create an environment like a home theater without changing the atmosphere of the room much. 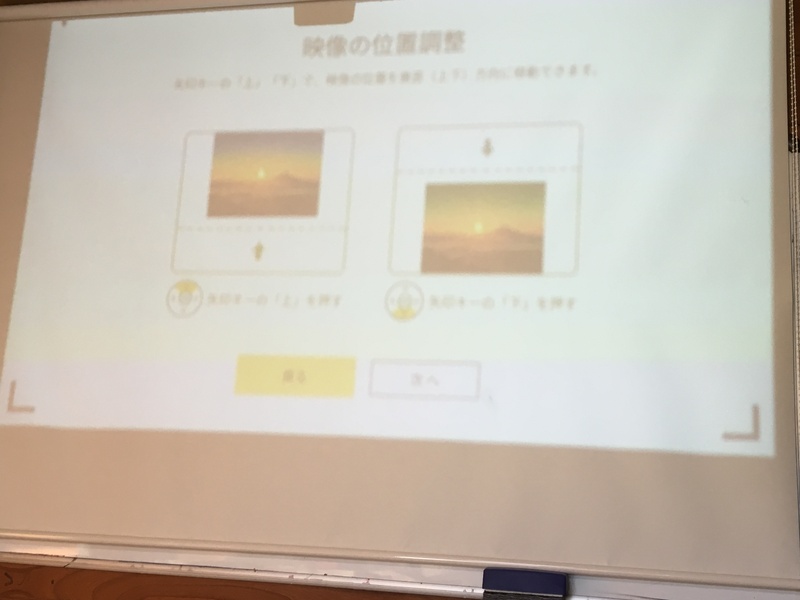 The next is introduce of applications that can be used with popin Aladdin. popin Aladdin has a variety of applications to make the bedroom an entertainment space. Popin Aladdin also frequently updates to make it even more enjoyable. Let’s see the update information and what kind of application is there.